Educating the Excluded | Charlie Karlín, z. ú. 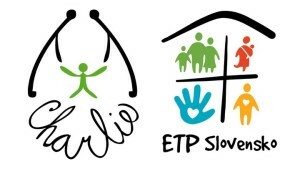 The partnership project proposal between Charlie Karlin & ETP Slovakia is a follow-up to the previous long term cooperation and it seeks to address Czech & Slovakia’s serious and intractable social problem – the plight of socially excluded Roma children who were born and live in segregated, ghettos. Disturbingly, few Roma children complete their primary education and even fewer continue to secondary school. During their school years these children have to battle with their underdeveloped cognitive functions that are crucial for acquiring all the basic skills, such as reading, writing, and mathematics. Our extensive experience has demonstrated that the combination of insufficient family involvement in upbringing and inadequate living conditions require a radically different teaching approach if Roma children are to thrive. The current education systems in the Czech Republic and Slovakia are, however, ill prepared to respond to the needs of such children. The intention of this project is to reduce disparities in learning outcomes affecting disadvantaged learners through more effective teaching methods, to foster the exchange of diverse and extensive experience and its utilization in different communities and localities, to demonstrate that disadvantaged learners can be integrated into society when national curricula of mainstream schooling are complemented by innovative approaches, such as mediated learning experience (MLE), seeking to correct deficiencies of disadvantaged learners in an appropriate manner.